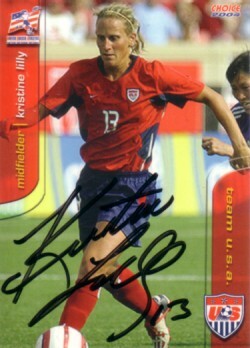 2004 U.S. Soccer card autographed by superstar U.S. Women's National Team midfielder Kristine Lilly. ONLY ONE AVAILABLE FOR SALE. With certificate of authenticity from AutographsForSale.com.